We are reaching the 205th anniversary of the first independent Government, and celebrations have started, and will last until next Monday. The anniversary of the Revolution of May will be held with a series of commemorative activities related to human rights, social justice, national sovereignty, culture, integration, art , science, innovation and history, organized by Office of the President. Also, will be installed in the city center a series art & science interventions that may be visited by the public. On Avenida de Mayo there will be one dedicated to the field and agriculture. On Avenida Diagonal Norte will hold a show called “Homeland is Innovation” that will display various initiatives related to industry, science and technology and development agenda, underpinning the country’s growth for the future. On the Avenida 9 de Julio there will be another Installation “Homeland is Social Justice”, which will form a geographic triangle Popular Party Patria completing Friday night with the lighting of Eva Peron murals former Ministry Building Public Works, located in Avenida Belgrano and 9 de Julio. Each day will end with various arts and entertainment for the whole family interventions in the central scene of the Plaza de Mayo. 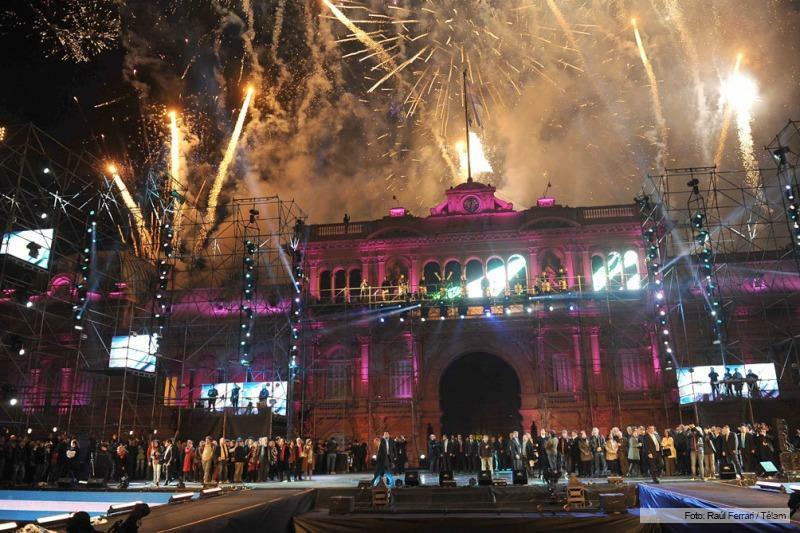 May 25 will be held in the Plaza de Mayo traditional People’s Party Patria involving national and international artists from different musical genres. In every block visitors can find food stands with typical flavors of each region, areas with local fauna and flora, different facilities harvested plantation products and spaces that form -in whole- seek a sensory journey to experience moving on one trip to the different landscapes of our territory. Certainly, a big celebration not to be missed!